Consumers are dying today in part because they continue to eat dead foods that are killed in the microwave. They take a perfectly healthy piece of raw food, loaded with vitamins and natural medicines, then nuke it in the microwave and destroy most of its nutrition. Humans are the only animals on the planet who destroy the nutritional value of their food before eating it. All other animals consume food in its natural, unprocessed state, but humans actually go out of their way to render food nutritionally worthless before eating it. No wonder humans are the least healthy mammals on the planet. Microwaves make malnutrition virtually automatic, and being exposed to toxic chemicals is easy to accomplish by simply eating processed foods (which are universally manufactured with the addition of toxic chemicals that act as preservatives, colorings, flavor enhancers and so on). 4. Microwaving alters food chemistry which can lead to malfunctions in the lymphatic system and degeneration of the body’s ability to protect itself against cancerous growths. 7. Microwaved foods caused stomach and intestinal cancerous growths, a generaldegeneration of peripheral cellular tissues, and a gradual breakdown of the digestive and excretive systems in a statistically high percentage of people. 8. Microwaved foods lowered the body’s ability of the body to utilize B-complex vitamins, Vitamin C, Vitamin E, essential minerals and lipotropics. * Creation of a binding effect to radioactivity in the atmosphere. * Creation of cancer-causing agents within protein-hydrosylate compounds in milk and cereal grains. 11. Microwave emissions also caused alteration in the catabolic (breakdown) behaviour of glucoside – and galactoside – elements within frozen fruits when thawed in this way. 12. Microwaves altered catabolic behavior of plant-alkaloids when raw, cooked or frozen vegetables were exposed for even very short periods. 13. Cancer-causing free radicals were formed within certain trace-mineral molecular formations in plant substances, especially in raw root vegetables. 14. Due to chemical alterations within food substances, malfunctions occurred in the lymphatic system, causing degeneration of the immune systems’ capacity to protect itself against cancerous growth. 15. The unstable catabolism of micro-waved foods altered their elemental food substances, leading to disorders in the digestive system. 16. Those ingesting micro-waved foods showed a statistically higher incidence of stomach and intestinal cancers, plus a general degeneration of peripheral cellular tissues with a gradual breakdown of digestive and excretory system function. The microwave does work as advertised, by the way. It makes your food hot. But the mechanism by which heat is produced causes internal damage to the delicate molecular structures of vitamins and phytonutrients. Minerals are largely unaffected, however, so you’ll still get the same magnesium, calcium and zinc in microwaved foods as you would in non-microwaved foods, but the all-important B vitamins, anthocyanins, flavonoids and other nutritional elements are easily destroyed by microwave ovens. The microwave is the appliance of the living dead. People who use the microwave on a regular basis are walking down a path towards degenerative disease and a lifelong battle with obesity. The more you use the microwave, the worse your nutritional state gets, and the more likely you are to be diagnosed with various diseases and put on pharmaceuticals which, of course, will create other health problems that lead to a grand spiraling nosedive of health. There is a lot of researching being conducted into microwave oven and the effects that it may have on human bodies. Final studies have not been released as yet, but if the above is any indication to the negative affects on food, I can only imagine the effects on the human body. The Chamberbitter (Phyllanthus urinaria / gripewood / chanca Piedra ( 7) / leafflower) native herb plant of Asia, and shrub nuisance for landscapes in Southern States: Florida, Georgia, Alabama, South Carolina, New Mexico or Texas. Description of the herb plant: “Flowers are greenish white, minute and appear at axiles of the leaves, as well as the see capsules. Numerous small green-red fruits, round and smooth, are found along the underside of the stems, which are erect and red.” In the early summer months the broadleaf shrub weed surfaces from warm soils. The Chamberbitter can reach a height of two feet. 1 Many land-owners displeasure this herb weed growth (2). For more than 2,000 years the Phyllanthus urinaria has been prescribed in Andean (Encompassing South America countries 3) medicine and traditional uses. 4 Scientists continue to explore the medicinal life saving treatment of the herb Chamberbitter. As per Ayurveda, the body is made up of tissues (dhatus), waste products (malas), and doshas (loosely translated to Energetic Forces). It is the Tridoshas’ job to assist with the creation of all of the various tissues of the body and to remove any unnecessary waste products from the body. It is also the Tridoshas that influence all movements, all transformations, all sensory functions, and many of the other activities in the human body and mind. 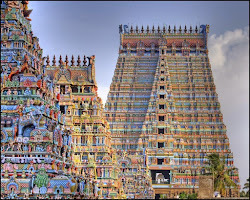 Out of this tridoshas the Vata dosha is the most important of the three doshas. The Pitta dosha is associated with fire or heat. Kapha is the heaviest of the three doshas. It provides the structures and the lubrication that the body needs. Now lets understand what is Pitta Dosha, What are Pitta Body Types, and what is important for them to consider with respect to food and what all they need to avoid. In Ayurveda Pitta is known as Energy of Digestion and Metabolism. Pitta dosha (bio-energy) is a combination of water and fire elements and formulated by the dynamic interplay of the both. These elements are transformative in nature thus they constantly modulate and control each other. In human body Pitta represents the fire element; it includes gastric fire or digestive fire, action of enzymes and amino acids that play a major role in metabolism, and the neurotransmitters and neuropeptides involved in thinking. People with pitta personality are known for warm friendly behavior and leadership qualities. Pitta is hot, sharp, light, oily, liquid, and spreading in nature. It is sour, bitter, pungent to the taste, and has a fleshy smell. All these characteristics are revealed in the body of the pitta person. The main centers of pitta in human body are small intestine, stomach, sweat glands, blood, fat, eyes, and skin. 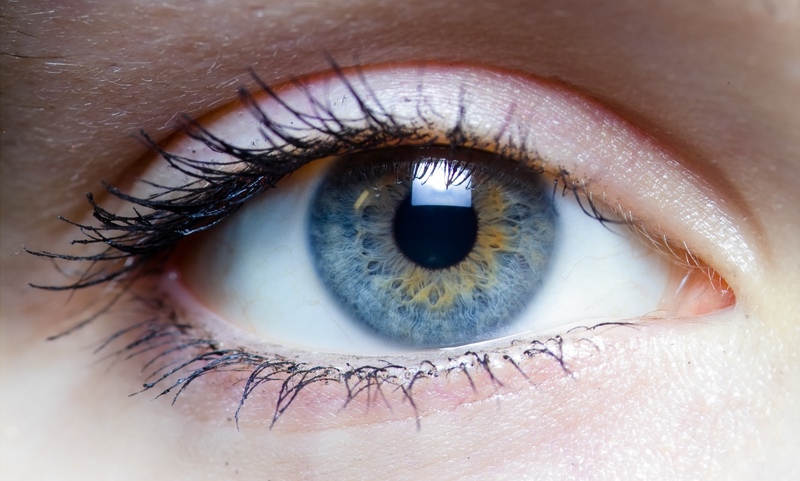 Pitta governs digestion, absorption, assimilation, nutrition, metabolism, body temperature, skin coloration, the luster of the eyes, intelligence, and understanding. It gives the person appetite, vitality, and the capacity to learn, understand and determine what is right or wrong. The imbalanced pitta can cause many physical and psychological problems like anger, criticism, negative emotions, acidity, ulcers, heartburn, rashes and thinning hair. Pitta can be thrown out of balance by, eating spicy or sour food; being angry, tired, or fearful; or spending too much time in the sun. People with a predominantly pitta constitution are thought to be susceptible to heart disease and arthritis. You can balance excess pitta with foods that are dry, cool and heavy with a mild, naturally sweet, bitter or astringent taste. Milk, beans, rice, steamed vegetables and fruits are good for pitta people. Pitta body types generally like a lot of protein. The sweet items like maple syrup, brown rice syrup, barley malt, and honey are good. • Vegetables & Fruits: can eat most vegetables and fruits. • Grains: Barley, oats, wheat, parboiled rice. When in balance, pitta promotes intelligence and understanding but when disturbed or imbalanced it produces anger and jealousy. To ensure sound and healthy living one should be aware with the causes and factors that can influence pitta dosha and also the ways to regulate them. It is very important for Pitta people that they lead a pure and moderate life and try to keep cool. Pitta is a fire element; hence to balance it one should avoid excessive heat, oily, steamy and salty food, rigorous exercises that increase body heat, etc. Such people should opt foods, attitudes, behaviors, personal relationships, and environmental conditions that can be instrumental in balancing pitta. They should take food that is sweet, bitter, and astringent because these tastes decrease pitta influences, do exercise during the cooler part of the day, and do things that cool the mind, avoid conflicts and choose cool climates. On behavioral front developing the virtues of honesty, morality, kindness, generosity, and self-control also help in balancing pitta dosha. Pitta prakriti people should do meditation as it helps to control negative thoughts and calm mind and body. Optimum meal times for pitta people are: breakfast at 7 a.m., lunch at noon, a snack at 3 p.m. and dinner at 6 p.m. The pitta people should use colors that are cool and calm, for example, blues and greens. These colors provide a soothing effect and help to control pitta. The stone should be worn by pitta people is Moonstone as this stone associate well with pitta dosha and drive positive influences. Pungent and oily foods like curry, fried foods and spicy condiments should be avoided by people with pitta constitutions. Spices such as cayenne, garlic and dry ginger should completely be avoided. Stimulants like alcohol, smoking, coffee, vinegar, fried foods, pickles, spicy foods, fermented foods, almond, curds, corn, til, mustard oil are not good for pitta people. Beets, brinjals, carrots, garlic, hot peppers, onions, spinach, tomatoes need to avoided. 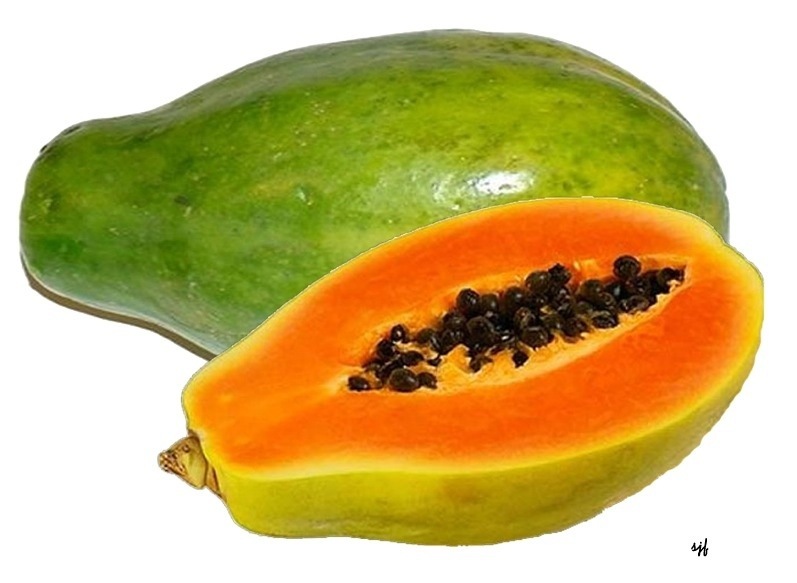 Fruits that are to be avoided are like sour and unripe fruits, including grapefruit, papayas, peaches, bananas, apricots. Grains like brown rice, corn, millet, rye should not be taken. Ayurvedic herbal massage is a powerful tool with which you can build greater overall health. People who get ayurvedic herbal massage finds wonderfully relaxing and energizing at the whole time. If you are using ayurvedic herbal massage on daily basis you will find better sleep and easier, earlier mornings and it will help to keep your body free of illness and toxins. 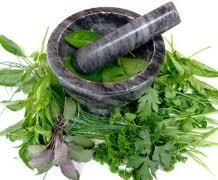 Ayurvedic herbal massage has a wide range of benefits. Ayurvedic herbal massage helps for balance our Kapha dosha, Pitta dosha and Vata dosha. A person who are using ayurvedic herbal massage on daily basis, will get smooth and beautiful skin and always feel youthful. Ayurvedic herbal massage also helps to improve the strength and tone the muscles. Dandruff is the most commonest complaint what most of us are suffering from.There are many causes for this. -greasiness of hair and scalp which in turn gives shealter to the dirt and other bacteria to grow…..
2.Application of the paste of neem leaves. 5.Paste of hibiscus also helps in strenghtening the hair roots and removed dead cells in the scalp. 7.Take a cup of sour buttermilk to it add powdered gooseberry then allow it to soak for 5-10 mins .Apply this to the scalp and keep for 20 mins.this helps a lot. 8.Internally i advice to take nimbadi guggulu and arogyavardhini rasa.This will be a complete treatment. 10.avoid using heavy conditioner,and strong shampoos. 11.application of limejuice to the scalp in every 15 days cures this problem .This should be done atleast for 4-6 times to get a beneficial result. 12.Try using cleaned comb always after heat bath. 13.Apply luke warm oil always to the scalp and massage gently for about 10 mins in circular fashion and then apply all the above pastes for better and quick results. 14.Make a dilute tea decoction add lemon juice with peals and bring to a boil.After cleaning your hair wash with this liquid .This prevents greying of hair and also gives natural shine to the hair. 15.a cup of warm milk added with a spoon ful of honey taken during the bed time helps in a sound sleep and also leads to jet blackand thick hair. 16.Application of thick paste of mint with little tulsi to the scalp after oilingshows very good results in case of dandruff and leads to sound sleep also. 17.Fresh leaves of coriander should be blended into a paste using water and applied to the scalp and hair once in a week atleast.This shows wonderful results in case of hairfall.It leave sthe hair colour darkblack,and even shiny. 19.application of dhurdoora patra thailam is very beneficial . अब हम आपको शतावरी के कुछ आयुर्वेदिक योग क़ी जानकारी देंगे ..जिनका औषधीय प्रयोग चिकित्सक के निर्देशन में करना अत्यंत लाभकारी होगा …!! - यदि आप नींद न आने क़ी समस्या से परेशान हैं तो बस शतावरी क़ी जड़ को खीर के रूप में पका लें और थोड़ा गाय का घी डालें ,इससे आप तनाव से मुक्त होकर अच्छी नींद ले पायेंगे ..! -प्रसूता स्त्रियों में दूध न आने क़ी समस्या होने पर शतावरी का चूर्ण -पांच ग्राम गाय के दूध के साथ देने से लाभ मिलता है ..! -शतावरी के पत्तियों का कल्क बनाकर घाव पर लगाने से भी घाव भर जाता है …! -शतावरी के जड के चूर्ण को पांच से दस ग्राम क़ी मात्रा में दूध से नियमित से सेवन करने से धातु वृद्धि होती है ! .. शतावरी हिमतिक्ता स्वादीगुर्वीरसायनीसुस्निग्ध शुक्रलाबल्यास्तन्य मेदोs ग्निपुष्टिदा ..!! चक्षु स्यागत पित्रास्य,गुल्मातिसारशोथजित…उदधृत किया है ..तो शतावरी एक बुद्धिवर्धक,अग्निवर्धक,शुक्र दौर्बल्य को दूर करनेवाली स्तन्यजनक औषधि है …!! अब आपके मन में यह प्रश्न आ रहा होगा की भई आहार और नींद तो समझ में आ गया पर ये ब्रह्मचर्य-अब्रह्म्चर्य क्या बला है? अदरख:कैंसर रोगियों के लिये एक बेहतरीन औषधि ! One concept that is central to Ayurvedic medicine is the concept of Agni, or digestive fire. Imagine that there is a small fire burning within your lower stomach and small intestine. The goal is to keep this fire stoked without letting it get too big or smothering it to death. We all digest food differently. If someone drinks a raw green smoothie, for some it can be like throwing a huge wet log on top of the fire and extinguishing it. This can cause all sorts of problems in the body. Others who have a very strong agni, and drink the smoothie in the proper season might be able to digest it just fine. How can you tell if you are digesting your food properly? After eating, one should feel content, satisfied and energized. Your bowel movements will be well formed and timely, and you will feel hungry shortly after waking up in the morning. If you are experiencing lethargy, exhaustion, or pain and discomfort after eating, you are not digesting your food properly. Other indications that your food may not be digesting well can be: constipation, diarrhea, lack of appetite and an overall feeling of sluggishness. Along with determining how to eat properly for one’s unique constitution or dosha, agni is the most important factor in determining how and what we should be eating. One’s agni can become compromised by overeating, under-eating, eating the same foods year round regardless of season change, drinking too much water with meals, staying up late, eating at irregular times, and lack of exercise. Here are a few tips and tricks to help keep your agni balanced. Follow your body’s own signals. If you are not hungry, don’t eat. Resist the urge to snack throughout the day if you are not hungry. Your body needs time to digest your previous meal before you feed it again. It is best to wait at least 2-3 hours after you eat to exercise, otherwise your food doesn’t have time to fully digest. Try to eat in a relaxed, quiet atmosphere. This includes computers and phones! Enjoy a mini-vacation by unplugging while you eat. It is important to eat the foods that are balancing for your body type, seasonally appropriate, and in proper proportions. And don’t forget, is also important to enjoy the taste of what you are eating! 1. Almonds help to keep cholesterol levels low. 2. Almond milk is also available, and is good for the skin, besides being a nourishing and useful substitute for people who are allergic to milk. 3. 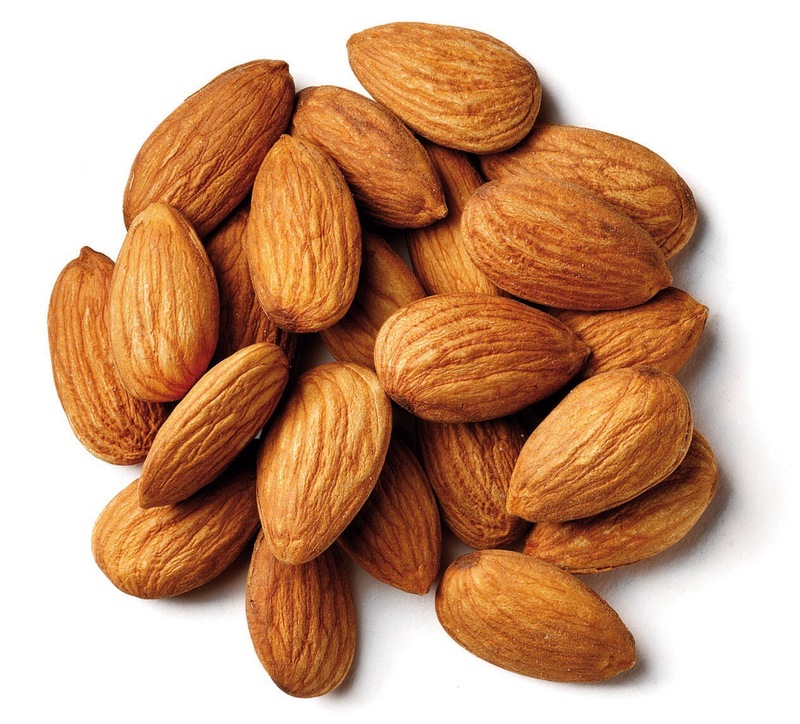 In addition, almonds themselves can also be used in many home treatments for the skin. 4. You can soak almonds for a few hours, then grind them, and use this paste with milk or rose water as an excellent face scrub. 5. A reduced risk of heart attacks. This is a health benefit of the cholesterol regulating property of almonds. 6. A source of fiber. Fiber is good for your digestive tract. It also fills you up, making a snack of few almonds a healthy choice if you’re on a diet. 7. A good source of protein. Protein is good for your muscles, skin and for natural hair care from the inside out. Soil of India – tradition culture if India gave us many Great Philosophers, saints, Intellectuals, bravery heroes and great scientists. Ayurveda’s authorized Book- Kashyap Sanhita indicate to do “Suvarnaprashan” to every new born child.Its ingredient are Vacha, Shankhpushpi, Brahmi, Ashwagandha and Gold bhasma, all r processed in cow ghee and honey. Here at our Clinic we do this Suvarna prashan for d age group of new born to 12 yr baby boys n girls on every Pushya Nakshatra. Do you know that the majority of Indian still uses some traditional medicines for variety of ailments? India has a very long tradition of treatment of ailments using alternative medicines. The whole tradition is very ancient and systematic. It dates back to more around 4000 years, when the Vedas (र्वेद – ancient books of Indian knowledge, wisdom and culture) where supposedly written. The traditional medicines comes under one of four Vedas called Atharvaveda. Under Atharvaveda comes Ayurveda (आयुर्वेद) means the knowledge for long life. The account of traditional medicines are found in Sanskrit works such as Suśruta Saṃhitā and the Charaka Saṃhitā. These two works laid the foundation of Ayurveda. Since then, diagnosis of new diseases and healing methods were added. In the early works, Ayurveda had considered that Universe including Human body is made of five elements. The five elements are Pṛthvī (पृथ्वी – earth), Jala (जल – water), Agni (अग्नि – fire), Vāyu (वायु – air) and Ākāśa (आकाश – Sky). It stresses a balance of three elemental energies such as Vāyu Vāta (वायु वत – air & space – “wind”), Pitta (पित्त – fire & water – “bile”) and Kapha (कफ – water & earth – “phlegm”). 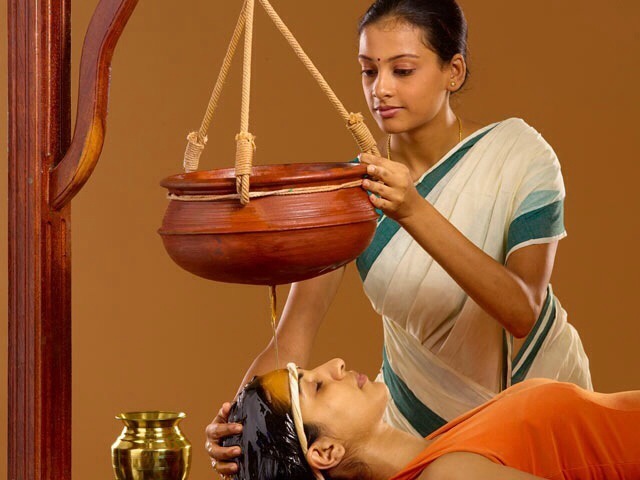 Ayurveda is considered as the science of following eight components. 5. Bhūta vidyā or in modern terms, Psychiatry. It is well known that people in ancient India were well versed with highly systematic systems of the alternative medicines and surgery. Many disease such as fever, cough, consumption, diarrhea, dropsy, abscesses, seizures, tumours, and skin diseases (including leprosy) etc. were classified. Treatment of complex ailments, including angina pectoris, diabetes, hypertension, and stones were also found and documented. Early works of Ayurveda such as Charaka Samhita, is dedicated to Charakas. Plastic surgery is documented as well in these ancient Indian texts. Plastic surgery of nose, ear lobes, lips for restruction of nose, ears, lips etc were given by an ayurvedic physician called Sushruta, who is now considered the father of rhinoplasty. The works of Ayurveda were later become known to Chinese and Arabs through trade and pilgrim from these regions. Further, Arabs subsequently transmitted the ayurvedic knowledge to Europe. The knowledge of Ayurveda might be known by some another name outside India but we can imagine how it has shaped the understanding and use of alternative medicines across the world. और अंत एक बात याद रखे !! किसी भी विदेशी कंपनी का कोई भी शैंपू का प्रयोग मत करे !! ये clinic all clear,clinic plus, head and shoulder,dove,pantene सब विदेशी कंपनिया बनती है ! और बहुत ही खतरनाक कैमिकलों का प्रयोग करती है ! !! और हर 2 -3 महीने बाद एक ही शैंपू मे थोड़ा बदलाव कर उसका नाम बादल कर फिर बेचने लग जाती है ! आपको मालूम है pantene से एक लड़की के सारे बाल झड़ गये ! !और वो खबर अखबार मे भी आई है !! वो खबर पढ़ने के लिए नीचे दिये गये link पर click करे !!! तो इसका अर्थ पता चला की वन्देमातरम क्या है ! उसमे उन्होने बगावत की भूमिका लिखी कि अ...ब बगावत होनी चाहिए ! विरोध होना चाहिए ताकि इस अँग्रेजी सत्ता को हम पलट सके ! और इस तरह वन्देमातरम को सार्वजनिक गान बनना चाहिए ये उन्होने घोषित किया ! अँग्रेजी सरकार ने इस पुस्तक पर पाबंदी लगाई कई बार इसको जलाया गया ! 1905 मे अंग्रेज़ो की सरकार ने बंगाल का बंटवारा कर दिया और भंग भंग के विरोध मे एक आंदोलन शुरू हुआ ! और इस आंदोलन के प्रमुख नेता थे (लाला लाजपतराय) जो उत्तर भारत मे थे ! (विपिन चंद्र पाल) जो बंगाल और पूर्व भारत का नेतत्व करते थे ! और लोक मान्य बाल गंगाधर तिलक जो पश्चिम भारत के बड़े नेता थे ! इतने व्यापक स्तर पर ये आंदोलन फैला !कि 5-6 साल मे अँग्रेजी सरकार घबरागी क्यूंकि उनका माल बिकना बंद हो गया ! ईस्ट इंडिया कंपनी का धंधा चोपट हो गया ! तो ईस्ट इंडिया कंपनी ने अंग्रेज़ सरकार पर दबाव डाला ! कि हमारे पास कोई उपाय नहीं है आप इन भारतवासियो के मांग को मंजूर करो मांग क्या थी कि यह जो बंटवारा किया है बंगाल का हिन्दू मुस्लिम से आधार पर इसको वापिस लो हमे बंगाल के विभाजन संप्रदाय के आधार पर नहीं चाहिए ! और आप जानते अँग्रेजी सरकार को झुकना पड़ा ! और 1911 मे divison of bangal act वापिस लिया गया ! इतनी बड़ी होती है बहिष्कार कि ताकत ! तो लोक मान्य तिलक को समझ आ गया ! अगर अंग्रेज़ो को झुकाना है ! तो बहिष्कार ही हमारी सबसे बड़ी ताकत है ! यह 6 साल जो आंदोलन चला इस आंदोलन का मूल मंत्र था वन्देमातरम ! भारत, उत्कल मतलब उड़ीसा, बंगाल आदि और जितनी भी नदिया जैसे यमुना और गंगा ये सभी हर्षित है, खुश है, प्रसन्न है , तुम्हारा नाम लेकर ही हम जागते है और तुम्हारे नाम का आशीर्वाद चाहते है। तुम्हारी ही हम गाथा गाते है। हे भारत के भाग्य विधाता (सुपर हीरो ) तुम्हारी जय हो जय हो जय हो। "
बनाना तो भारत के लोगों को धोखा देना है। इस मतभेद के कारण एक नरम दल और एक गरम दल। बन गया गया ! दो पक्ष - कृष्ण पक्ष एवं शुक्ल पक्ष ! तीन ऋण - देव ऋण, पित्र ऋण एवं ऋषि त्रण ! चार युग - सतयुग, त्रेता युग , द्वापरयुग एवं कलयुग ! चार धाम - द्वारिका , बद्रीनाथ, जगन्नाथ पूरी एवं रामेश्वरम धाम ! चारपीठ - शारदा पीठ ( द्वारिका ), ज्योतिष पीठ ( जोशीमठ बद्रिधाम), गोवर्धन पीठ ( जगन्नाथपुरी ) एवं श्रन्गेरिपीठ ! चर वेद- ऋग्वेद , अथर्वेद, यजुर्वेद एवं सामवेद ! चार आश्रम - ब्रह्मचर्य , गृहस्थ , बानप्रस्थ एवं संन्यास ! चार अंतःकरण - मन , बुद्धि , चित्त , एवं अहंकार ! पञ्च गव्य - गाय का घी , दूध , दही , गोमूत्र एवं गोबर , ! पञ्च देव - गणेश , विष्णु , शिव , देवी और सूर्य ! पंच तत्त्व - प्रथ्वी , जल , अग्नि , वायु एवं आकाश ! छह दर्शन - वैशेषिक , न्याय , सांख्य, योग , पूर्व मिसांसा एवं उत्तर मिसांसा ! सप्त ऋषि - विश्वामित्र , जमदाग्नि , भरद्वाज , गौतम , अत्री , वशिष्ठ और कश्यप ! सप्त पूरी - अयोध्या पूरी , मथुरा पूरी , माया पूरी ( हरिद्वार ) , कशी , कांची ( शिन कांची - विष्णु कांची ) , अवंतिका और द्वारिका पूरी ! आठ योग - यम , नियम, आसन , प्राणायाम , प्रत्याहार , धारणा , ध्यान एवं समाधी ! आठ लक्ष्मी - आग्घ , विद्या , सौभाग्य , अमृत , काम , सत्य , भोग , एवं योग लक्ष्मी ! नव दुर्गा - शैल पुत्री , ब्रह्मचारिणी , चंद्रघंटा , कुष्मांडा , स्कंदमाता , कात्यायिनी , कालरात्रि , महागौरी एवं सिद्धिदात्री ! दस दिशाएं - पूर्व , पश्चिम , उत्तर , दक्षिण , इशान , नेत्रत्य , वायव्य आग्नेय ,आकाश एवं पाताल ! मुख्या ग्यारह अवतार - मत्स्य , कच्छप , बराह , नरसिंह , बामन , परशुराम , श्री राम , कृष्ण , बलराम , बुद्ध , एवं कल्कि ! बारह मास - चेत्र, वैशाख, ज्येष्ठ, अषाड़, श्रावन, भाद्रपद, अश्विन, कार्तिक, मार्गशीर्ष. पौष, माघ, फागुन ! बारह राशी - मेष , ब्रषभ , मिथुन , कर्क , सिंह , तुला , ब्रश्चिक , धनु , मकर , कुम्भ , कन्या एवं मीन ! बारह ज्योतिर्लिंग - सोमनाथ , मल्लिकर्जुना , महाकाल , ओमकालेश्वर , बैजनाथ , रामेश्वरम , विश्वनाथ , त्रियम्वाकेश्वर , केदारनाथ , घुष्नेश्वर , भीमाशंकर एवं नागेश्वर ! पंद्रह तिथियाँ - प्रतिपदा , द्वतीय , तृतीय , चतुर्थी , पंचमी , षष्ठी , सप्तमी , अष्टमी , नवमी , दशमी , एकादशी , द्वादशी , त्रयोदशी , चतुर्दशी , पूर्णिमा , अमावश्या ! स्म्रतियां - मनु , विष्णु, अत्री , हारीत , याज्ञवल्क्य , उशना , अंगीरा , यम , आपस्तम्ब , सर्वत , कात्यायन , ब्रहस्पति , पराशर , व्यास , शांख्य , लिखित , दक्ष , शातातप , वशिष्ठ ! 1962 INDO-CHINA WAR LOST BY NEHRU HOW?? SCARCITY OF WATER BY NON VEG. भोजन खड़े होकर खाना क्यों नहीं चाहिए!